Create a new world at your fingertips. Make your dreams come true anytime, anywhere. Explore the spellbinding worlds of Disney, Star Wars, Marvel, and Pixar all in just one app! Catch up on your favorite shows. 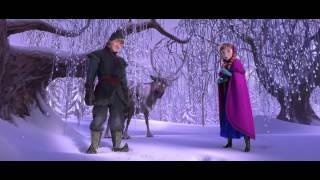 Disney's Frozen - Official Trailer - In Philippine Cinemas November 27! Click the email sent by Globe with the subject: Redeem your 6-month access to DisneyLife now! Redeem your 6-month access by verifying your account and signing up for a DisneyLife account. Download the DisneyLife app on iTunes and Google Play to start watching. Turn family time into an enchanting ride. Subscribe to Globe At Home Plan 1299 or up. Watch your action-packed films, download the latest episodes of your favorite series, and sing along with your beloved Disney characters even if you're on-the-go! Get 30-day access to DisneyLife for only P149 per month. To subscribe, text DLIFE149 to 8080. Suit up for the most anticipated movies in the Marvel cinematic universe with the 0917 x Captain Marvel collection. Watch Disney Movies and Kilig K-Dramas for Free with DisneyLife and Viu Premium! How do I watch movies and shows on DisneyLife? You must have access to internet with a speed of at least 1.5 Mbps to enjoy seamless playback of videos. How many devices can I use to watch on DisneyLife? You can register up to 10 devices at the same time on your DisneyLife. Four (4) concurrent users can access the app. Once a 5th user logs in, the first device to connect will automatically be removed. When do new movies and new episodes of shows get added to DisneyLife? DisneyLife's library is updated regularly with new movies and episodes of your favorite TV shows. Please note that certain movies and shows vary in availability and content distribution is owned and managed by Disney. This means that they may also have to remove certain titles in order to make room for new ones.